INTRODUCTION: In a recent article titled Carbohydrates are not Evil I referred to myself as a “nutritional centrist” and in this post I’ll elaborate on what I mean by this. This post is more of an editorial than a standard ‘Science Made Simple’ article. References can be found in the previous articles by using the search feature. 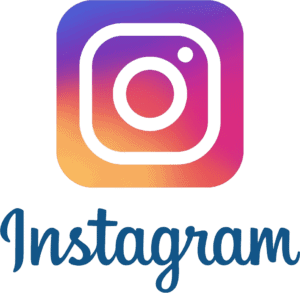 Much of the discussion about nutrition these days on social media seems to take an “all-or-nothing” stance. 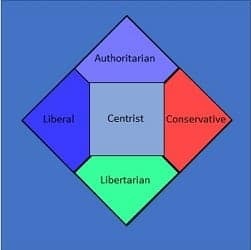 As in politics, there are those that tend towards a “left-wing” (liberal) position and others who tend towards a “right-wing” (conservative) position; some who are libertarian (let people decide for themselves) and others who are very authoritarian (dictate what they believe is best). When it comes to nutrition, I am a centrist. In this article, I am using the term “centrism” to include a very wide range of nutritional positions apart from any at extreme ends of the spectrum. I believe that a wide range of nutritional centrists positions are supported by current, evidence-based science. In the food world there are vegans on one hand and carnivores on the other. One eats only plant-based food with nothing coming from animals (no eggs, milk or cheese) and the other eats only animal flesh food (no fruit, vegetables or dairy). In my understanding, these nutritional positions are the corresponding equivalent to left wing/liberals and right wing/conservative political positions and while I respect people’s individual right to choose veganism or carnivory as a lifestyle choice, for health reasons or on the basis of ethical or religious beliefs, in my understanding there are significant nutritional challenges to both ends of the spectrum. (who eat mostly plant-based foods but will also eat eggs, milk and cheese because no animal is killed or harmed in the making of these) and those who are omnivores (that will eat food from a wide variety of plant and animal sources). Somewhere in the middle of these two are pescatarians who are like vegetarians but who will also eat fish (perhaps because they are not mammals, and sometimes only when they are wild species i.e. not man raised). From my perspective, people who chose any of these lifestyles fall somewhere in the “nutritional centrist” position. I find it easy to support people following any of these lifestyle or ethical choices because it is possible to design a diet that ensures adequate nutritional intake of a wide range of macro- and micro-nutrients from the foods they choose to eat. Those who follow a “whole-food plant-based diet” can be either vegan or vegetarian so in my understanding, whole-food plant-based vegetarians fall somewhere in the “nutritional centrist” position, whereas whole-food plant-based vegans are vegans with an approach that falls at one end of the spectrum. As I’ve mentioned in numerous previous articles, there are several different types of “low carb” and “ketogenic” diets. For example, if a client comes to me with a dietary prescription from a physician for a specific type of ketogenic diet to support a specific medical or metabolic condition that is a very different scenario than someone who wants me to help them with “quick weight loss” using a “keto diet”. As a “nutritional centrist” my approach to supporting people in following a low carbohydrate lifestyle for weight loss is to start at a moderately-low level of carbohydrates (130 g carbohydrate per day) and lower the amount of carbohydrate as needed to achieve clinical outcomes. If individuals are insulin sensitive, this level of carbohydrate intake often works very well, especially at first when people were formerly eating ~300+ g of carbohydrate per day. For those who are insulin resistant or have Type 2 Diabetes, I start at a moderately-low level of carbohydrate intake and with self-monitoring of blood sugar and follow-up and oversight from their doctor with respect to any medications taken, will gradually lower carbohydrate intake as needed to achieve the desired clinical outcome(s). It is not a “one-sized-fits-all” approach. As documented in several previous articles, people’s glycemic (blood sugar) response to carbohydrate varies significantly, even among those who are insulin sensitive and also in those with Type 2 Diabetes, so determining individual blood sugar response to carbohydrate is the best way to determine which types and amounts of carbohydrate people respond best to. I don’t believe it is appropriate or necessary for everyone to follow a “keto diet”. Amongst those that teach and support a “low carb” lifestyle, there are those that promote lots of added fat from a wide variety of sources. These are people that believe in adding coconut oil and butter to beverages, butter to top meat and vegetables and using whipping cream copiously. From the beginning this is not an approach I have taken. In light of the recent scientific evidence (such as the large-scale PURE epidemiological study and others), I do not believe that moderate saturated fat intake is harmful to cardiovascular health. At the same time, I see no reason that if added fat is helpful in a particular person’s diet, that fats such as cold-expressed olive and avocado oil as well as nut and seed oils such as macadamia, walnut and almond oil aren’t suitable options. I don’t see the need for extremes with regards to added fat. I encourage people for whom the recommendation is appropriate to add enough good quality healthy fat to make the vegetables or salad taste interesting enough that they will want to eat a fair amount of them and enjoy them. After all, eating isn’t only about getting enough nutrients, but enjoying the foods that are eaten. Unless there is a medical or metabolic condition involved which precludes it, I encourage people to eat the fat that comes naturally with their protein source if they enjoy doing so. I encourage folks to trim excess external fat off a fatty cut of steak, but if they enjoy chewing on the bone on a rib steak to ‘go for it’. The yolk in an egg or the fat in cheese is not harmful when eaten in moderate amounts so unless there are strong risk factors, I don’t believe people need to avoid or limit these foods. While the new Canada Food guide recommends limiting foods with saturated fat based on the fact that dietary saturated fat raises total-LDL cholesterol, as I’ve documented in several previous articles I don’t believe when considering all the recent evidence that there is compelling reason to advise all people to limit foods containing cheese or to select plant-based foods over foods that contain saturated fat. As mentioned in a few recent articles, Canada Food Guide is directed towards a healthy population in order to help them stay metabolically well and I believe that the whole-food approach of the new Guide which avoids refined grains, fruit juice and processed foods is a good evidence-based approach to accomplishing this, and one I support in my practice. My concern as covered recently is that as many as 88% of Americans are already metabolically unwell (with presumably a slightly lower percentage in Canada due to our slightly lower obesity statistics) so in those that already have indications of insulin resistance (which is a large percentage of my client base), I do recommend a whole-foods approach but with a lower percentage of carbohydrate intake. In my understanding, this is a “nutritional centrist” approach which is supported by the American Diabetes Association and the European Association for the Study of Diabetes who both support the use of a low carbohydrate diet as Medical Nutrition Therapy in the management of Type 2 Diabetes and for weight loss. Veganism, like carnivory is a lifestyle choice that is sometimes made for religious or ethical reasons and sometimes for health reasons. Regardless of the reason for the choice, these are lifestyles that need to be respected and supported by healthcare professionals who are qualified to do so. As a “nutritional centrist” I can help healthy individuals follow the new Canada Food Guide and provide meals for their family along those lines if they so choose, as well as to support those who are already metabolically unhealthy using everything from a Mediterranean diet, a whole-food plant-based approach or a low carbohydrate or ketogenic diet. There is no “one-sized-fits-all” diet for any of these approaches and each should be tailored to individual needs. Conspiracy theories abound in many areas from religion to politics and there are plenty in the nutrition arena, as well. As a “nutritional centrist”, I don’t believe that “big-pharma” and “big-food” are behind everything, but at the same time I am also not naive enough to think that industries and special interests groups don’t attempt to influence the marketplace or government funding or policies by the types of research they fund, or by other means. I give scientists and researchers the benefit of the doubt that their intentions are in the interest of good science and the public interest, even though on occasion it is found out otherwise. My writing about topics such the funding of the Harvard studies by the sugar industry does not mean that I believe the scientists involved deliberately wrote biased reports. The articles were written to document the fact that researchers were funded by the sugar industry to write articles about why saturated fat was the underlying issue with respect to cardiovascular disease. Likewise, the recently translated French language newspaper report that shed light on why the government (e.g. Agriculture Canada or a political party’s leadership) may have been motivated to encourage the highlighting of legumes does not mean anything inappropriate occurred. In my understanding, conspiracy theories are not compatible with a “nutritional centrist” position. I would encourage my readers to give scientists and researchers the benefit of the doubt when it comes to their intentions; unless there is very credible and verifiable reasons to believe otherwise. A libertarian approach to dietary choice supports each person’s individual’s right to choose the most suitable dietary approach for themselves whereas an authoritarian approach essentially tells a person what is best for them. As a “nutritional centrist”, I am frequently in the scientific literature, reading and reviewing the latest studies and evaluating these in light of what is already known about nutrition. My motivation in writing articles that put these studies into “plain English” is that so ordinary people can evaluate these in light of what they know and choose what they feel is best for them. From my perspective, the current available quality research on the subject is the “authority” but by no means should this be used in an authoritarian way to tell a person what is best for them. 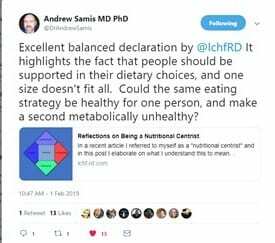 My position as a “nutritional centrist” is that people should be presented with the range of available evidenced-based options and the supporting science behind those options, but in accordance with a libertarian approach, the choice is theirs to make. I hope that as a result of reading this article, you have a fuller understanding of what I believe and why and that I support a range of evidence-based dietary approaches including those who want to follow the Canada Food Guide, a Mediterranean approach, a whole-food vegetarian plant-based approach or a low carbohydrate approach and that include moderate amounts of healthy fats of all types. There certainly isn’t a “one-sized-fits-all” dietary approach suitable for everyone so from my perspective, the issue is which one may be best suited to help you achieve your health and nutrition goals, within your personal food preferences. If you would like to know more about the services I offer, please click on the Services tab and if you have questions related to those, please feel free to send me a note using the Contact Me form located on the tab above.